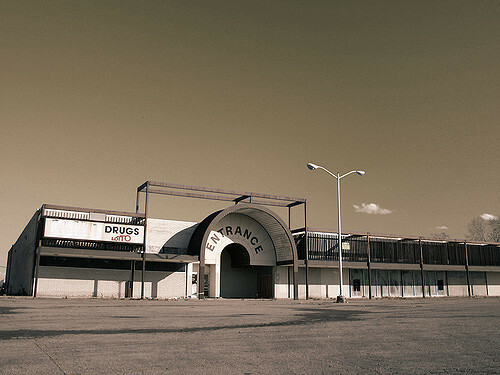 The strip mall looks abandoned, but Johnson knows better. The drunk sitting against the far wall watches him with eyes a little too sharp, and the rusted-out cars have shrapnel charges buried in the trash on their seats. Johnson stands tall and walks slowly as he approaches the blank-fronted office building so the sniper across the street can get a good look at his face before he touches the door. There's a short, hard-faced woman on duty in the office, standing at a counter behind a thick plate of glass. Johnson puts his gun and his ID in a drawer on his side of the counter. She pulls it through, then sends back a claim ticket and a laminated card covered in abstract symbols. "Do you find any of these images disorienting or physically uncomfortable to view?" "Touch the one on the bottom left." He taps it with his index finger. Nothing happens. "Now let me see your teeth." "No, it strikes without warning." "Okay," she says, pushing a button under the desk, "You're good to go." A metal door marked STAIRS buzzes from the back of the room. "Thank you for your cooperation, Agent. How are things going, by the way?" "You know. The usual." He heads for the door, whistling. The air in the cinderblock basement reeks of tobacco and anxiety. Gordon, his handler, is even more tense than normal. He chain smokes throughout Johnson's briefing, stopping frequently to lift his thick glasses and rub his temples. Gordon is always a well-groomed man, but it looks like he's been overdoing it lately. His face is raw from scrubbing and dotted with tiny flecks of dried blood where he's dug in with tweezers. The search for sixth sons is ruining his nerves. The assignment has been a code pink priority since last week. The Foundation needs sixth sons of sixth sons for D-Class because of how they interact with some kind of reality-devouring metaphysical entity that needs to be contained. Apparently the Foundation is chewing through a lot of these recruits lately, and it's not a common trait to begin with. "The request is a little unconventional this time," Gordon says. "First, because the recruits are animals. Specific animals. Second, because these animals are already being contained by a Foundation affiliate." "I didn't know we had affiliates," said Johnson. Countless people worked at Foundation front companies, but very few of them knew it. "They're a small operation. This little group in the Northwest. It's a mom and pop outfit." "A mom and pop containment facility?" "That's right. For animals." Gordon rolls his eyes. "It's some kind of hippie thing." "And the Foundation outsources to them?" "They're partners, or something. Your guess is as good as mine. Look, you're assigned to special security projects, right?" "Technically, I think I still am." "Well, this is a special security type of situation." He passes over a folder. Johnson glances inside. Memetic kill agents watermarked on every page make him hiccup as they bounce off his subliminal inoculations. "I told you," Gordon says. "Special. Bring donuts, they love that." It's peaceful out in the woods. Johnson drives with the windows down; there's no radio stations out here yet, but the songs of birds and crickets fill the air. 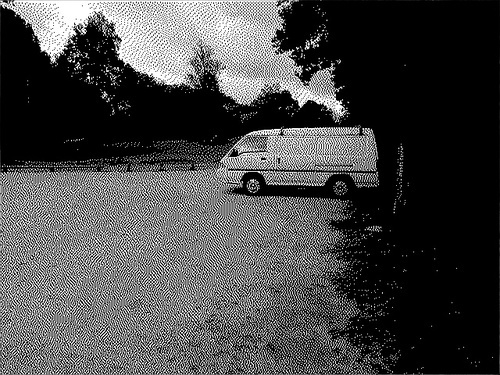 A woman jogs up and stands outside his van as he parks it, practically bouncing in place. "Hi there! Nice to meet you! I'm Erica, and it will be my pleasure to show you around our little nature preserve!" she's young, blonde, and much too excited to see him. "Well, good morning, Erica! I'm Dan, it's nice to meet you. Here, have a donut." He offers a box of pastries and a cardboard tray packed with coffee cups. "Well, thanks! Where have you been all my life?" she chirps, taking one and leading him into a small cabin packed with filing cabinets and animal carriers. "Usually the supervisors are so serious all the time." He puts the food on the desk, taking a coffee for himself. "Might as well be neighborly," he yawns. "Long night. I could sure use a pick-me-up myself. Now, did they tell you which of your residents I'm here to see?" "Wobbles, right?" She put a logbook on top of some papers and opens it. "First, I just have to ask you to sign in. Sorry. It's a new rule." He has forged L1 Transport Department credentials to go with the name he signs, but she doesn't ask to see them. 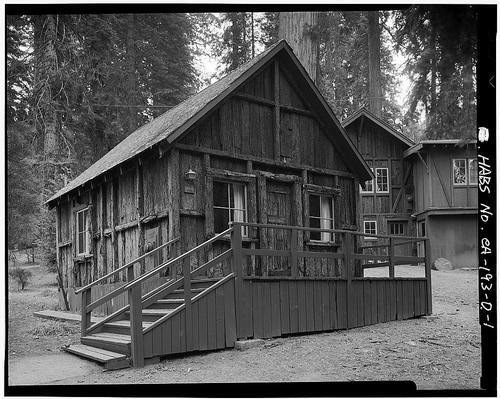 She leads him down a forest trail to a large cabin with footpaths trailing away from it in all directions. "This is the Lodge. Welcome! For now, most of our guests are living here, but eventually it's just going to be for rehabilitation. When we have more friends to take care of, we're going to move them into the cabins we're building around the preserve." "Keeping it close to nature, huh?" "That's how the animals like it." The floor of the lodge has been dug out, so it's much bigger than it looks from outside. The whole place smells like a barn. A quirky assortment of staff in wilderness gear are tending to various animals; he can hear cheerful conversations overlapping with each other between all the hooting and braying. Hand-built enclosures made of lumber and chicken wire line most of the walls, but there's a large space in the back corner for the shark's giant glass tank. Crude shelves behind it hold aquariums, each with a pup swishing back and forth inside. "This is Wobbles!" his guide says, leading him up to the tank. The shark circles lazily past, taking no notice of them. "She's a little bit shy, but don't worry. We'll bring her out of her shell." "That's great," Johnson says, watching the animal. "Glad to hear it. We'll have her and her babies back to you just as soon as we can." "Well, that might be a little tricky. Wobbles… let's just say she doesn't like to be touched." "Don't worry, I came prepared." He smiles just widely enough. "I'll show you what I mean back at the truck. Would you please give me a hand with one of those aquariums? No sense wasting a trip." Johnson brought huge plexiglass panels, so big he had to slide them diagonally into the back of the van, along with parts to assemble a four-foot transport tank. With a few polite requests, he gets the guide's help with the heavy lifting. Hauling the panels takes a good hour of sweaty work, and it's just the beginning; once they're all in place, they have to put the shark's carrier in the middle of the giant tank with ropes underneath it, then lower smaller and smaller panels into the tank until the shark is trapped above the carrier in the middle. The animal swims in faster and faster circles, as if it's getting claustrophobic. "Aww, Wobbles is nervous. It's going to be okay, little friend," says the guide. "Don't worry about her, she's going to be just fine." For all Johnson knows, this is true; the shark is going to be bred, in hopes that its protection will extend to its offspring and to their offspring. The sixth pup of the sixth pup will - maybe - be able to safely interact with 2747. Unfortunately, with no way to tell what order Wobbles' children were born in, all the litters of grandchildren will have to be tested against the anomaly. He pulls a gleaming silver flask from his jacket and takes a slug. "Uh, wow. Okay. You, uh… well, it's five o' clock somewhere, right?" "What? Oh. That. It's just medicine." He taps his watch. "Have to take it on time." After another hour, they finally have the shark walled in above its carrier. She helps him lift it out - gently, so that it doesn't rise above the water level and flop out of the tank. If the fish falls out, they'll never get their hands on it to put it back in. They manage, slow and steady and with the help of a couple other staff, to lower it onto a flat garden cart they borrow from outside. A panel with holes drilled through it goes over the top, Johnson bolts it all closed with L-brackets, and the shark is ready to go. Wheeling it down the path takes a while, but it's a nice day out. Johnson starts humming a pop song, and by the time they get to the van they're belting Elvis hits in off-key harmony. They're just getting the tank strapped in when his nose starts pouring blood. "Oh no! Are you okay?" "I'm fine. That's - it's just the medicine. Working." Pain stabs his left eye and his face twitches. "Mnestics are. Hate taking them, but. Had to." He mashes his palm against his forehead, spattering blood on his sleeve, and stands like that for a moment while his head clears. "Look," he says at last, "there's one more thing I need you to do. Please go to your little records hut over there and get me all the files you have on Wobbles. Then bring out whatever other procedures and research data you've got and load that in the van too." He wipes the blood from his face and flings it aside. "Then, you're going to take anything else that mentions Wobbles or me - calendars, memos, the works - put it all on the desk, light that kerosene lantern I saw on the wall, and smash it over the papers. With any luck, the whole hut will just burn down." The word catches in her throat and her eyes widen in horror. "Yeah. Sorry, but I gassed you. Came by last night and put a little something down the chimney of your lodge. Set off a couple hours ago. You're what they call, uh. Compulsively suggestible. Not going to remember this, either, if that helps any." He shakes his head. Tries to focus. "Who are you? Who sent you?" "The supervisors sent me. A big boss wants this all cleared out. She has officers ready for a task force to take over your anomalies. Sent me to go around the formal process. Takes time they can't afford. This kind of thing happens more than you'd think." The mnestic has him punch-drunk; he's saying way too much. "Why?" she sobs. "Why would you do this?" "Well, I see where they're coming from. You were bound for a full-on disaster sooner or later. Low security is what you're all about. It doesn't look like you're doing much to understand these things, and you're not serious about protecting them. Lots of safety issues with this setup, not even counting the information security problems. You have to admit, none of it really makes sense." He shrugs. "For what it's worth, you seem like very nice people. Now get started. Please. I have to go talk to your coworkers." Tears stream from her eyes, but she goes. "Good man," Gordon says at their next briefing. "I don't want to know how you did it, but Nine was thrilled to have the field cleared for her new division, and the compliance inquiry just showed massive incompetence on Wilson's Wildlife's part. No mention of Wobbles, either. You got away clean. And nobody even died." There was one mauling, and four of the staff were in critical condition after angry wasps had conceptually merged with their inner ears. Erica got a nasty second-degree burn in the process of torching the records, and an intern somehow ran over his own foot while driving their buggy into a lake. But the newly-minted MTF Omikron-91 ("Where the Wild Things Are") swooped in to re-contain the animals without a hitch. And nobody died. Johnson shrugs. "They made it easy." "Well. Your customers are satisfied. They're researching ways to speed up the gestation process so they can cook up the shark's grandchildren in time to start testing. We'll see if they get anywhere with it, but their Site director asked me to thank you personally. And he said Nine told him to pass along her regards." This makes him smile. A real one. "I hope it helps." Then Gordon pulls out a new folder, and the next assignment starts.